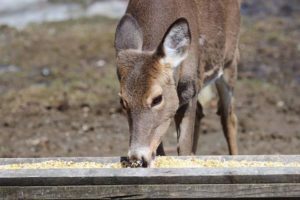 For the past three months, our favorite deer have been bed up with many other local deer on the shore of Moose River, where they have access to open water and grain from the locals that sustain them through the chilly winter months. 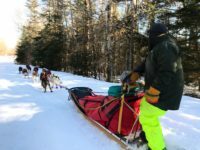 If you visited Tomhegan this winter, you may have spotted them on the shore of the river, the snowmobile trails or crossing the Northern Road. This winter has been a more traditional Moosehead Lake winter with literally feet of snow and ice. This will likely push the arrival of the herd back further into Spring. By early March 2016, the deer were making trips to check the shoreline of the lake, yet with a solid two feet of ice this year we wondered if we would see them quite as early. 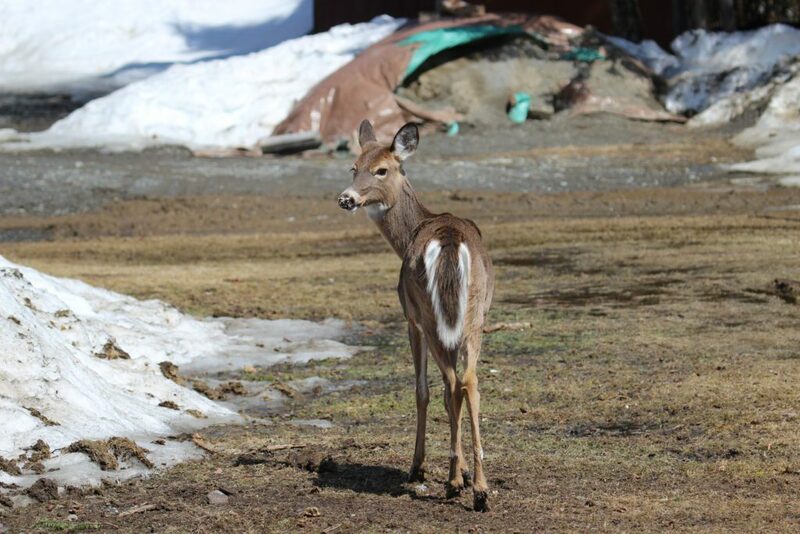 As the ice begins to melt, several deer will find their way to Tomhegan. A large group arrives at first, but once the lake is completely free of ice the group thins to the herd of furry friends we have all come to know and love. 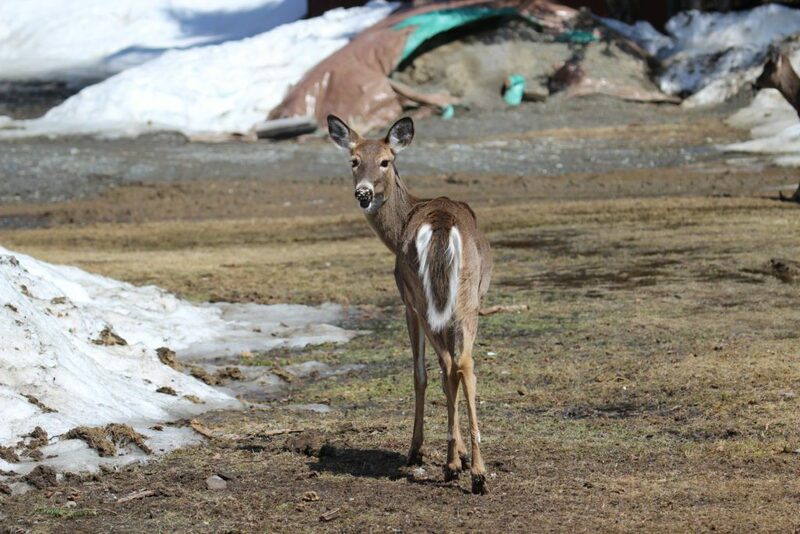 It was not until today, April 15th when the temperatures finally rose to 64ºF and the ice had greatly receded that we began to see our herd return a few at a time. We were so happy to see their familiar faces, and many new pregnant bellies on the adult does. 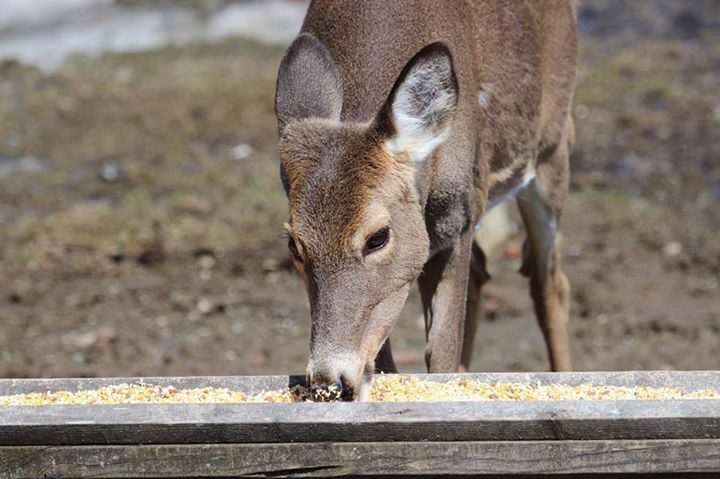 As always, we welcomed them home with some of their favorites; apples, potato scraps, carrots and of course their daily serving of hearty grains and seeds. 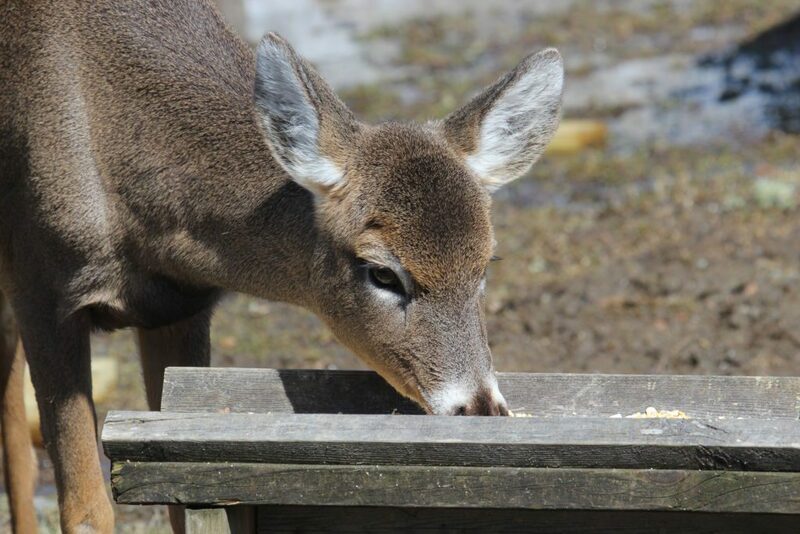 We are excited to welcome all the newborn fawns in the next few months. May and June are the best time to visit if you would like the chance to see a fawn just hours old. Make sure to stay tuned for photos of the newest members of the Tomhegan family!